Create a “secret entrance” and include a “secret password” on your invitation. 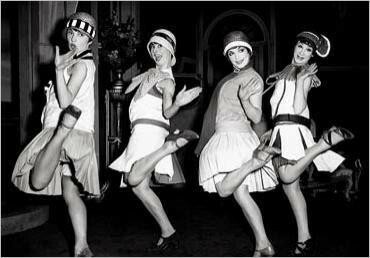 Hire a Cotton Club-style jazz band and flappers to entertain. Serve specialty drinks like the “Prohibition Bathtub Gin” or the “Spiked Shirley Temple”. Suggest attire such as fedoras, zoot suits, wing-tip shoes, long pearl necklaces, and feathers. Use black and white with a splash of red for your décor – think art deco. White Calla lilies and tea lights in martini glasses make the perfect centerpieces. Put a modern spin on classic American comfort food by featuring “Al Capone” deviled eggs, shrimp cocktail, “Great Gatsby” mushroom caps, cabbage rolls, chicken a la king, and barbecue ribs. For dessert, classics such as pineapple upside down cake, angel food cake or a candy “bar” from the 20′s can include Baby Ruth, Charleston Chew, Milk Duds, and Bit ‘O Honey. Here’s a great example of a gala event we did when organizing a national sales meeting. 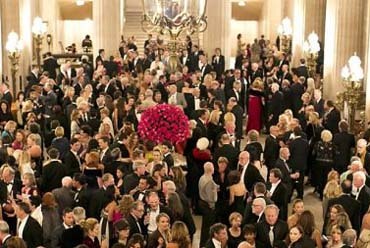 The word gala indicates “fancy”; however, here are some suggestions on bringing a classy flair to a more casual theme. Mini Bavarian checkered flags with a lion crest in deep blue make the perfect invitation to kick-off this event. Decorative fairy lights in the windows and deep blue and white linens and votives add rich color to the room. The traditional Oompah band and accordion music is a must once the party is underway; however, why not begin the evening with music from German composers such as Bach and Beethoven. Of course, beer is a staple, and we also recommend serving genuine imports in their original bottles. You can also include Riesling wines and cocktails made with German spirits such as Kirschwasser or Brandy. For the menu, some dressed up options can include creamy sauerkraut soup to start followed by a pork tenderloin with dark beer sauce, potato pancakes, pumpernickel and pretzel breads, and what Bavarian event is complete without German chocolate cake? Ideas for a gala always begin with the décor and ambience. Use a Phantom of the Opera playbill for the invitation and provide attendees with a ticket for “entrance”. The focal point of the room can be a dramatic collapsed chandelier on the stage or dance floor, and, of course, dramatic organ music upon entrance followed by ballroom dancing to liven up the event. Deep colours can be used such as dark purple, rich gold, deep reds, black, and velvet is the material of choice. Suggested attire should include formal wear and masks covering at least the upper part of the face. A French-inspired menu can include crepes, brie, Chateaubriand, soufflé, French wines, and don’t forget to “let them eat cake”! This theme is perfect for a corporate awards dinner. 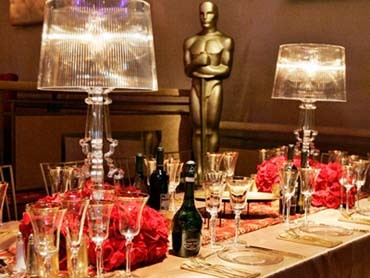 Have the group move (or the curtain drop) to a second room for an “Oscar” after-party room. Position furniture strategically to allow guests to comfortably lounge and mingle with one another. Décor can include gold silhouettes, deep red roses and hibiscus, gold twinkling lights and “Swarovski” crystals hanging from the ceiling. A large screen on the stage captures footage from the roaming video cameras in the audience and makes guests feel like a star. Serve a Wolfgang Puck style menu including smoked salmon on Oscar flatbread, caviar and crème fraiche, tuna tartare, crab and lobster louie, and gold-wrapped baked potatoes. This is a timely and popular event named after the critically acclaimed television series. Invitations can come in the form of a male/female paper doll set with 60’s style outfits. Add rat pack entertainers, a Marilyn Monroe impersonator, Jersey Boys performer and fun early-sixties music, and you have yourself a party! Props are key to designing your décor. You can create large, blown up advertisements of popular 1960s products, a 60‘s photo set with a professional photographer to take themed pictures, old spin dial telephones, slide projectors, typewriters, etc. 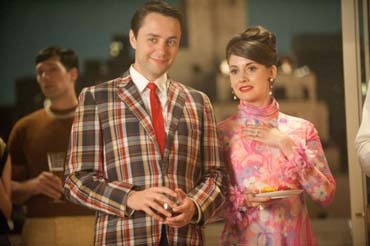 Suggested attire includes tweed jackets, plaid suits, bouffant hair styles, funky floral cocktail dresses. Be sure to serve martinis, whiskey sours, Tom Collins, beef wellington, turkey tetrazzini, potatoes au gratin, Waldorf salad, oysters Rockefeller, apple pie, and cherry cheesecake to top it all off. While the mission of corporate galas may vary for awards dinners, fundraisers or employee recognition, they all begin with great décor and ambience. We hope these ideas get your creative juices flowing for your next event! This entry was posted in Event Operations, Meeting Community, Themes, Top 5 Lists and tagged after-party, Bavarian, corporate awards dinner, corporate gala, gala event, Mad Men theme, sales meeting, speakeasy, themes. Thanks for sharing this article about Five creative themes for your next corporate gala event. This will really help me as an event planner . Themes would serve as spices in organizing event . Moreover, this can add flavor to the event which in turn would make the event more attractive and enjoyable. Not just enjoyable but unforgettable as well .